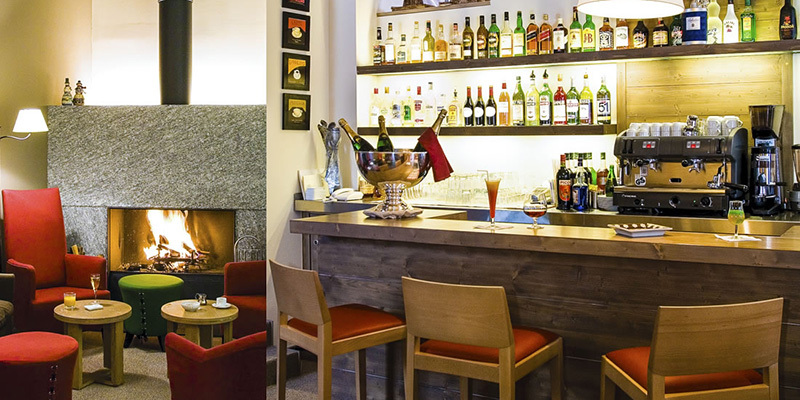 The 4-star Ski d’Or is a superb ski-in ski-out hotel. 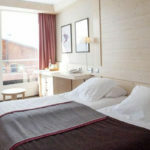 It is ideally located in the centre of Val Claret. 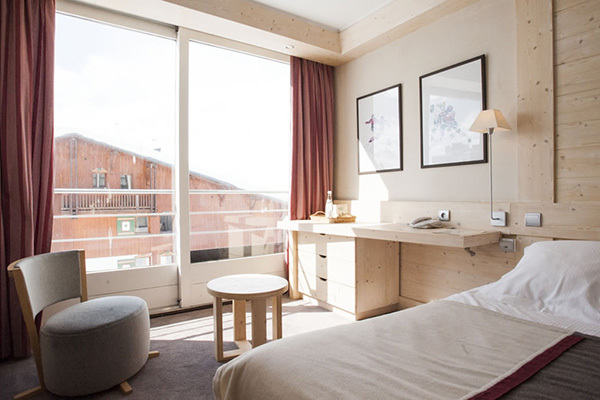 Combining authenticity and comfort, the hotel Ski d’Or will seduce you with its refined decoration and its art of living. 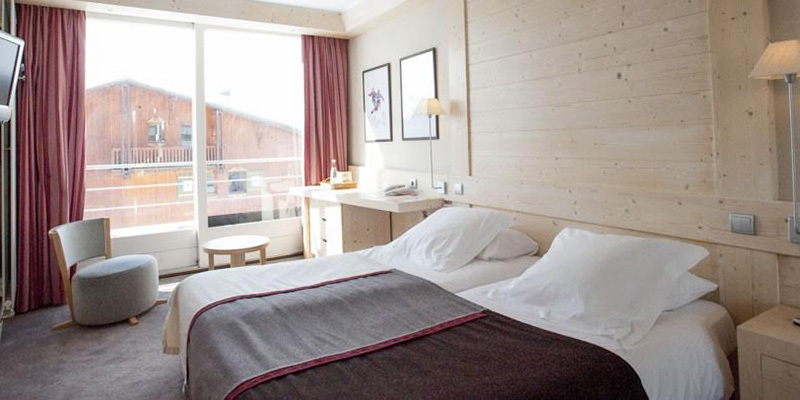 Its comfortable rooms are available in 2 categories (Comfort and Prestige) for 1 or 2 people on an B&B basis and feature a fabulous view on the surrounding mountains. 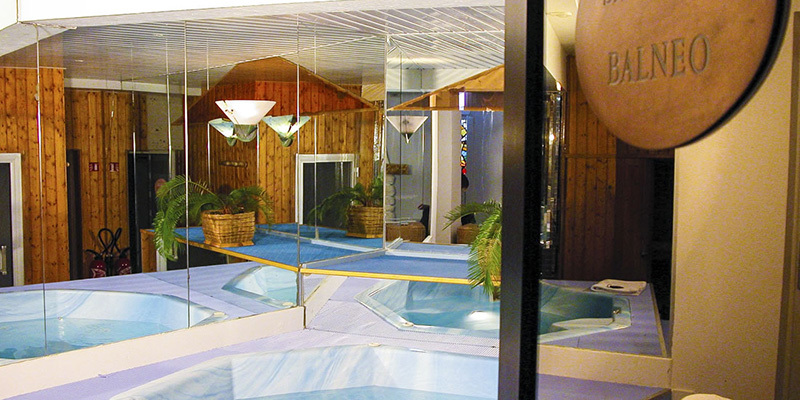 After a good day of skiing, you will enjoy its spa equipped with a sauna, a Turkish bath and a jaccuzzi. 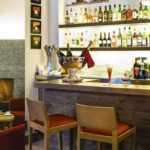 Unless you prefer relaxing in the cosy atmosphere of the bar and lounge comfortably relaxing in a sofa in front of the fire place. 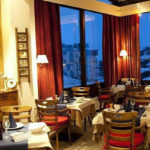 Breakfasts will be served at the restaurant of the hotel. 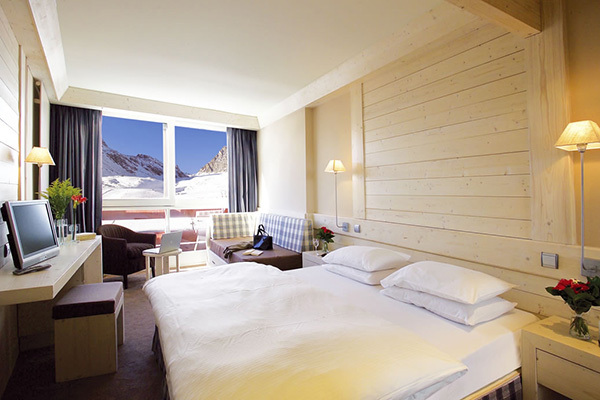 Thanks to its large bay windows you will enjoy a breathtaking mountain panorama. 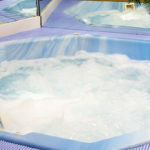 Jaccuzzi, Sauna and Turkish Bath: an effective answer to tiredness and stiffness after your day skiing. 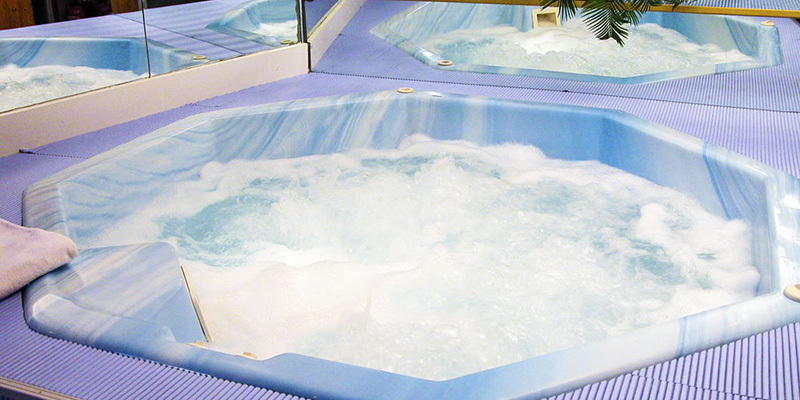 Make the most of the Ski d’Or balneotherapy facilities to relax during your skiing holiday, reserved exclusively for the hotel’s customers every day from 4.30 pm to 8.00 pm, a special place of well-being and relaxation. Public parking at immediate proximity. The hotel also offers its own parking. 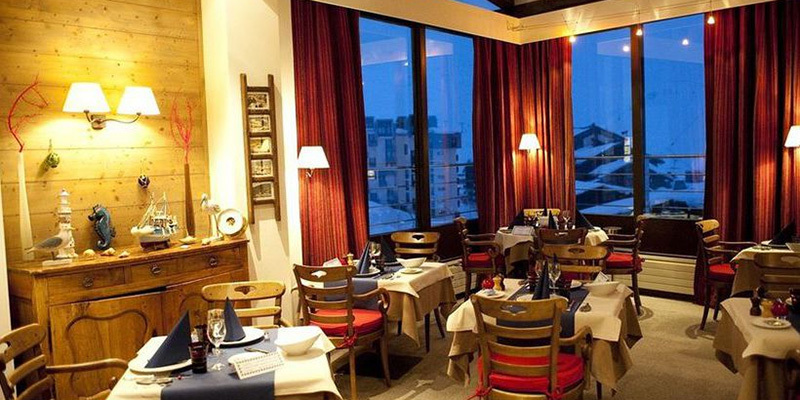 They will be served in the cosy atmosphere of the Ski d’Or restaurant featuring warm colours and exposed beams. 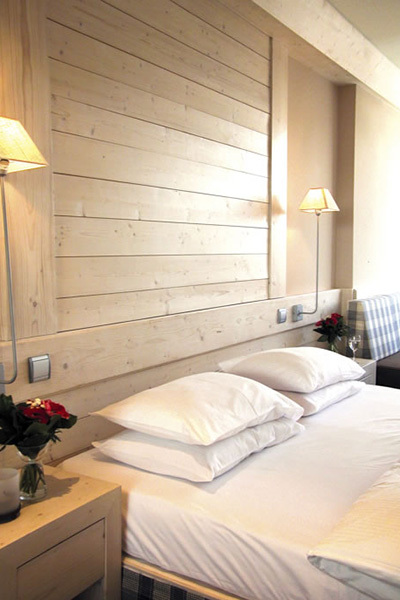 From its bay windows you will enjoy a breathtaking panoramic view on the surrounding mountains. South-West facing “Comfort” rooms are available in single, twin or double occupancy. “Comfort” rooms have a size of 20 to 22sqm and are equipped with either 2 twin beds or one double bed as per your preference. 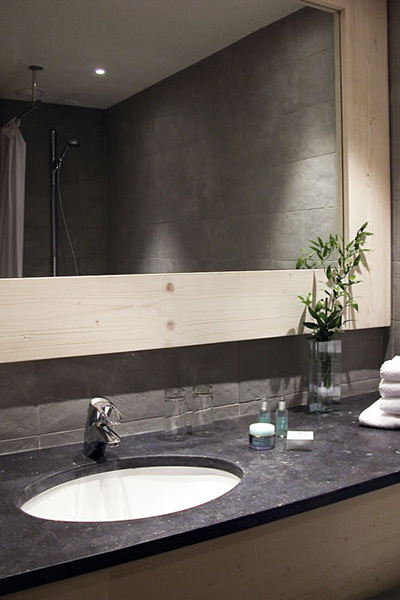 a spacious and light-filled bathroom fitted out with a wonderful bathtub. 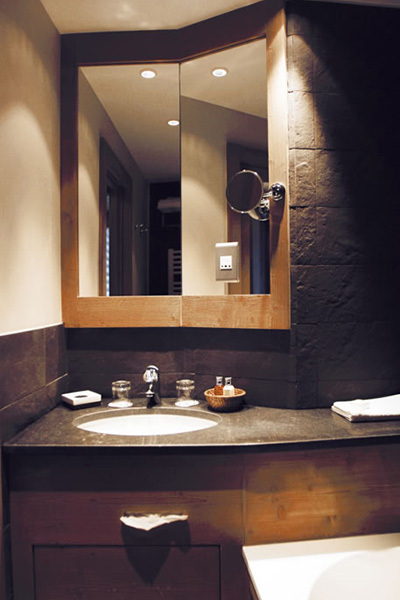 Slippers, bathrobes, hairdrier and personalised complimentary beauty products are provided as well. 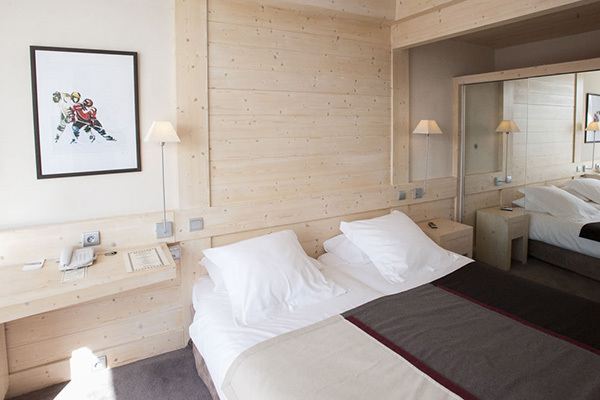 South-West facing “Prestige” rooms are available in single, twin or double occupancy. Prestige room have a size of 25 to 27sqm and are all equipped with either 2 twin beds or one double bed as per your preference.